Olivier Thill is co-creator of the new French comic “Hercule”. After the first volume was released on October 24th by Edition Soleil, he had some time to speak with us in an exclusive interview and answer questions about the project. Many of you may recognize his name may because Olivier -- better known by his ZBC nickname, Luxo -- was previously interviewed for his work on the preparation of another comic: “Henk”. 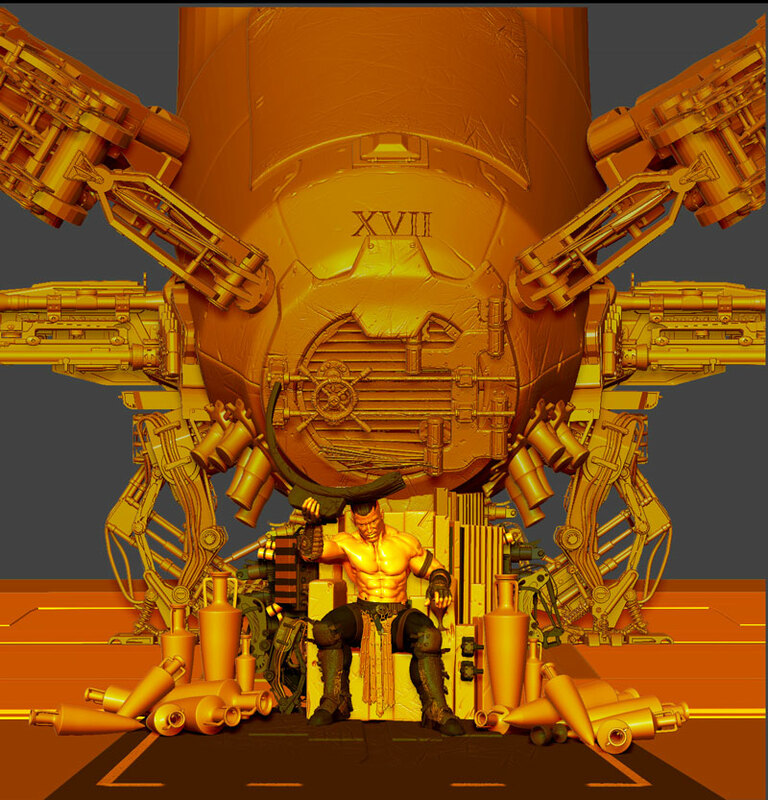 In the year and a half since that publication, Olivier has continued to refine his technique for using ZBrush in comic-style illustration. 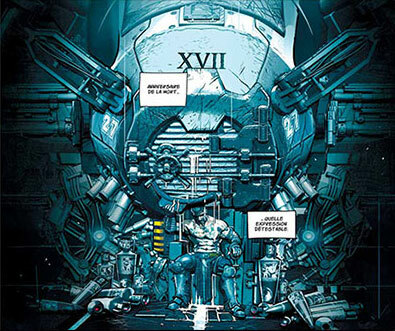 We couldn’t pass up an opportunity to touch bases with him regarding this new 12 issue venture, the inspiration for which is drawn from the mythological Twelve Labors of Hercules. Before starting to talk about Hercule, let’s talk a bit about you. Is comic creation your only job? 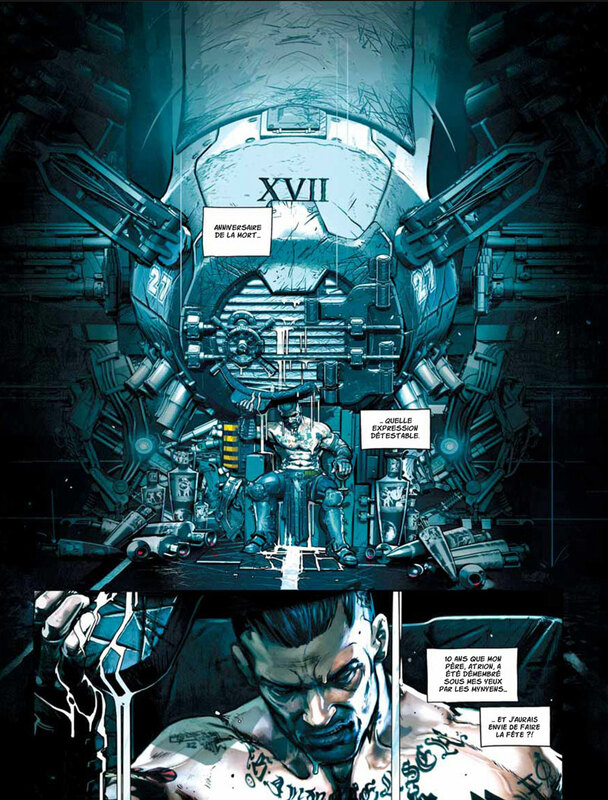 How did you come to comics and what is your background in the world of 3D art? I’m currently working as a freelancer at TeamTO, an animation studio in Paris on various productions. Between productions, I use the time to go back to comic creation. I originally come from the Fine Arts and made it into the Meliès animation/VFX school in Paris. I had also wanted to attend a film school but found myself discouraged by the limited focus of productions and all the constraints which came with them. Things like budget, time, etc. With comics, I can bypass all these restrictions and have real freedom in my choices. Olivier, can you speak a little bit about the team behind Hercule? 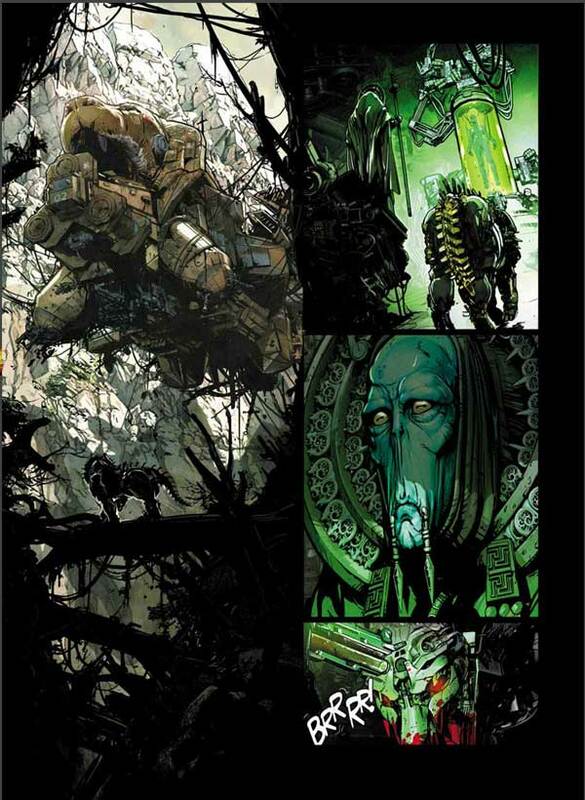 First up is Jean-David Morvan, who is on charge of the script and conceived the original idea for the comic. I must admit that I’m really lucky to work with him because for several years now he has been one of the most prolific comic writers in France. Many of his comics are found in the fronts of various bookstores. Then there is Vivien Chauvet, alias “Looky” who also comes from comics and has six titles to his credits. We both originally came from the same school and found each other again thanks to this project. 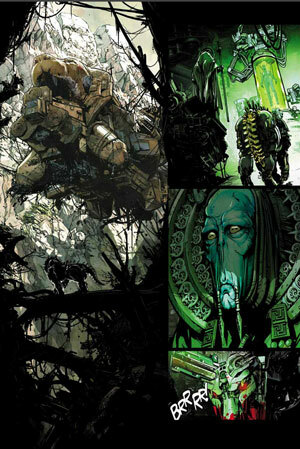 His work focuses on the design, look and feel of the comic and the organization of the content panels. 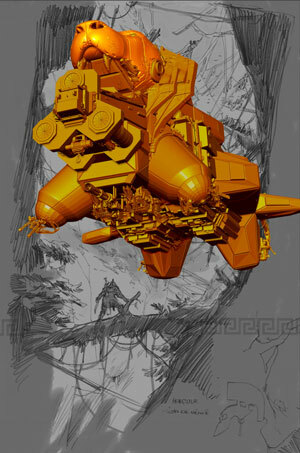 He also helps in the creation of some environments and does part of the character posing. Can you summarize the Hercule story in a few lines? 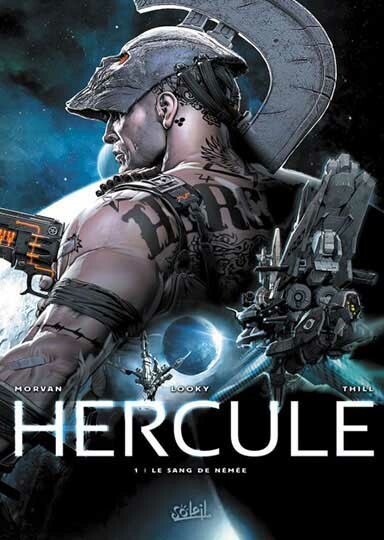 Hercule is a powerful mercenary, half human and half alien thanks to cell transplants. He doesn’t fear death. In fact, a part of him is already dead: Haunted by a crime committed against his wife and children, he redeems himself by following orders from the Officers, no matter how insane they might seem. Hercule has no choice but to hunt aliens that come to planets colonized by humans. His first mission is to kill the Nemean lion whose ship crashed and protects its seriously injured mate. In order to heal, the lion needs the blood of the humans living in the area. The battle between Hercule and the lion will be challenging physically but will have an emotional cost as well when it awakens painful memories in the mind of our hero. According to this summary, this book only draws from the first of the classical Herculean Twelve Labors. Do you plan to produce a sequel? Yes, there will be a sequel. In fact, we have already signed with the editor for three albums and are in fact planning nine beyond that for a total of twelve. 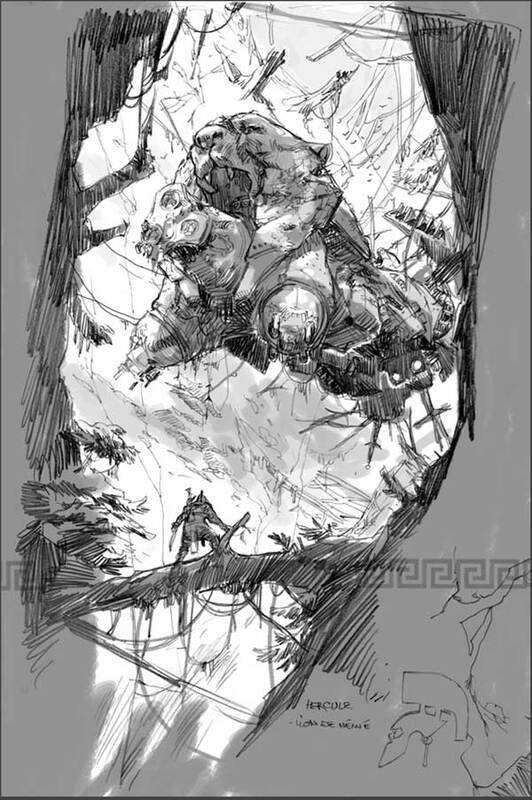 Each volume will be based on the Hercules mythology. We will do our best to be close to the original mythology while adapting it to our very specific universe. 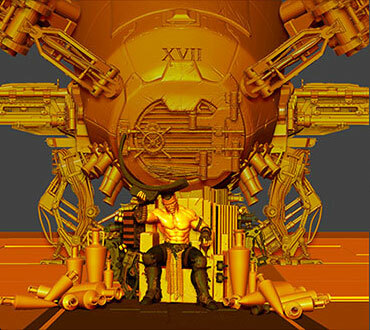 All rights reserved, Pixologic and the Pixologic logo, ZBrush, and the ZBrush logo, Sculptris, and the Sculptris logo are registered trademarks of Pixologic, Inc. Various patents pending. All other trademarks are the property of their respective owners.